Babolat Nadal 23 Junior Tennis Racquet . Young fans of Rafael Nadal who love to compete in tennis can have a tennis racquet that looks like the Spanish champion`s stick of choice. 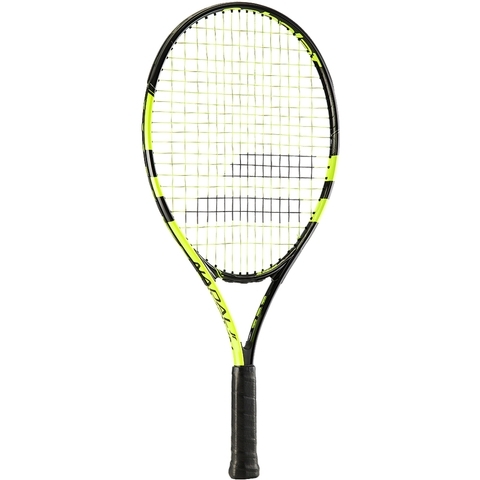 The Babolat Nadal 23 Junior Tennis Racquet is ideal for juniors from ages 7 through 8. 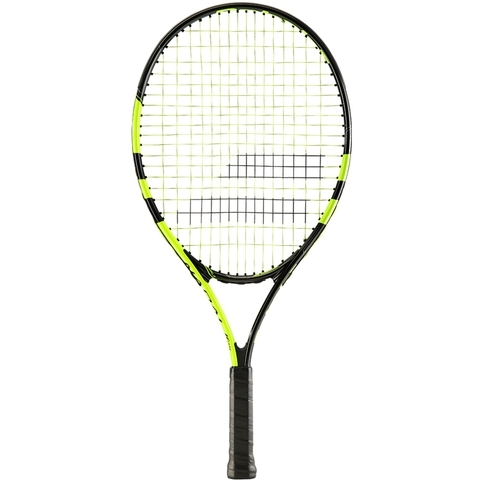 This aluminum frame weighs 7.6 ounces strung and is shorter than a traditional adult racquet at 23 inches, making this easier for a youngster to swing. The 93 square inch head offers a generous sweetspot, and size 0 grip is easy for smaller hands to hold onto. Racquet Length 23.00 in. / 58.42 cm.